Acacia ‘Low Boy’ is a low spreading evergreen shrub that can be kept beautiful in low-maintenance, low-water plantings. Plants feature a dense mound of narrow, oblong leaves that are gray-green in color. Foliage tends to shimmer in the sunlight due to their color. In spring, sprays of small inconspicuous flowers emerge that produce a wonderful vanilla-like scent. Plants are fast growing, but keep a low profile; ‘Low Boy’ is perfect for use as a groundcover shrub, as it spreads far and wide. However, when used as a ground cover, plants will require some shearing. If planted on slopes know that regular maintenance and shearing could be challenging. 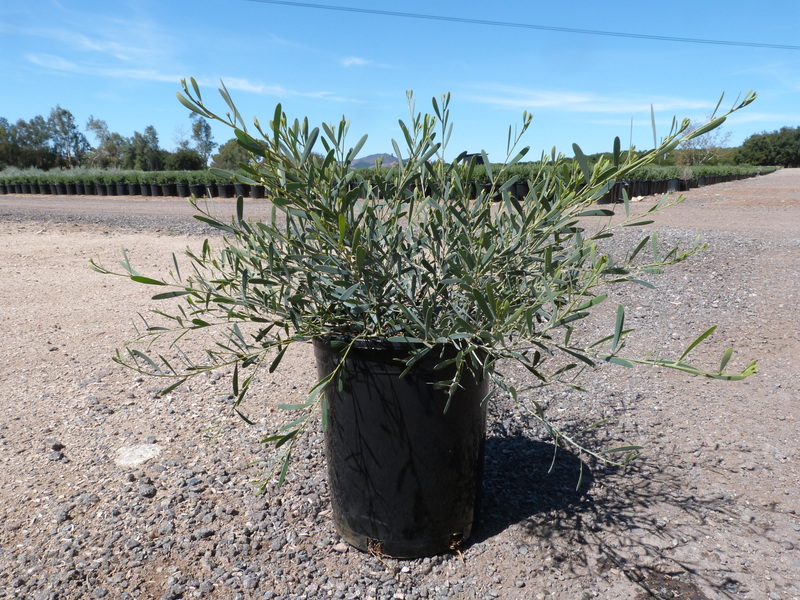 Like most acacia, ‘Low Boy’ tolerates intense hot sun and dry conditions. Note that plants also tolerate a bit of light shade. Plants can thrive most any anywhere, from seaside to desert. ‘Low Boy’ can tolerate a light freezing conditions, but will sustain damage at temperatures falling below 15 F.